What have you appreciated lately? As I was reading a novel set in early twentieth century China, I was struck by a line in which a character and her friends went out into the garden to “appreciate” the plum blossoms. We admire, find joy, look at beautiful things in our world, but how often do we simply appreciate what we see or hear? Somehow the concept of appreciation is different from all of these. Appreciation contains a sense of taking time to savor, as well as a sense of gratitude. Appreciation forces you to stop for a moment. I attended a coffee tasting on Sunday, and learned something about appreciating a fine cup of coffee, with notes of flavor as complex as any wine. I appreciate the fine job that two repairwoman did in replacing our basement ceiling yesterday. It is amazing how much brighter the room looks. 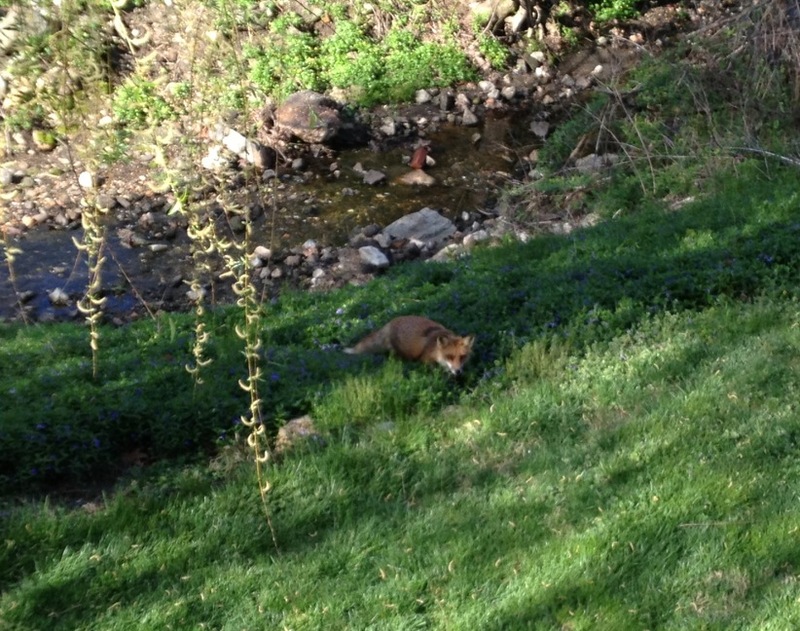 And I appreciate the sight of a fox who took a walk through our back yard yesterday morning. The bird seed attracts the squirrels, and the squirrels attracted the fox, although I don’t think he has much of a chance of catching one! So next time your senses encounter something wonderful, take a moment to really appreciate and savor. It is part of the gift of being alive. ← Do You Want to Hear about My WIP? I stopped writing the other day to appreciate the wild turkey walking through my front yard. Thanks for post – it’s a good thing to stop and appreciate.